Lend us your ear now. If you’re feeling way too tired to hear us out, it’s clear: something’s wrong with you. Is it because you feel tired? Is it because you don’t sleep well enough? We firmly ask you to… give it another try! Did you say mattress? But why? You are what…you sleep on? Did you know that no less than 92% of the USA population believe that a comforting mattress is everything to a good night’s sleep? That’s quite a large number, when you come to think of it. That would mean that you can no longer wait, you can no longer search for the solution to the problem when it’s right in front of (or shall we say right under?) you! Surprisingly, studies have shown that, after sleeping on a new mattress, people have already felt less stressed, more relaxed and well rested. Do you know that there is also the possibility that, in time, you simply got allergic to your mattress? 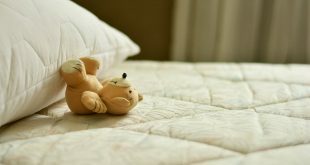 Even though initially it was well protected against dust mites or various allergies, time flies and the fact that you couldn’t wash your mattress did help dust mites to get more comfortable in your bed. If it’s not that, it’s another thing. For instance, you wanted a firm mattress; that’s what the label said “Firm”. Curiously enough, even firmness is subjective; what feels firm to you, may feel only medium firm to your partner – or the other way around. So, you can never go wrong trusting your own gut (I meant “Back” J). Working from home is fine (as in matter of fact it’s great! ), but working from your bed is… not good at all. Your brain will get confused (“Am I working now or taking a nap?”) and…hello again insomnia! Still questioning yourself if you need a new mattress? I know in the back of your mind, you’re ready for a change, so read on. You know by now that a good mattress is orthopedically sensitive and it gives you comfort no matter where on it you sleep. When shopping for a new mattress you should also know that most of the products are made from pure foam. Its breathability due to air circulation inside eliminates night sweats and distributes the body weight evenly during the night sleep. So, no worries here. What about the cover of the mattress? Which fabric should it be? Well, a good fabric will absorb and, at the same time, release heat, acting in fact like a thermostat during your sleep. Manufacturers take allergies and medical conditions in great consideration, also; therefore, most of the mattresses are hypo-allergenic. If not, a great tip is to have a washable antiallergic mattress cover. Another practical advice? Your mattress should be 7,87 inches longer than your body length and at least 63 inches wide (for a 2 persons bed). Is your mattress too soft? Your head is sinking into it. Medium firm (with a softer pillow top) seems to be “what the doctor ordered”. 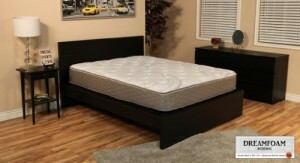 This kind of mattress will give the right balance and cushioning for your spine. Off the record: soft, medium or firm mattress… it’s your choice. But I wanted to give you a heads up that firm enough should do the trick on your sleep quality. Also have a look at this related article over at Sleepcompare. Have you crossed your fingers lately and hoped to sleep better again? Have you prayed for a change in the quality of your sleep and maybe this new mattress is the answer that you hoped for? 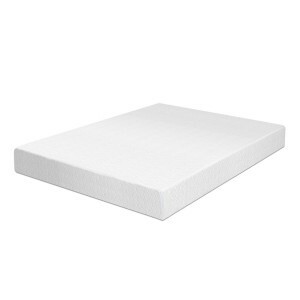 Having an USA made foam, this 12-inch memory foam mattress will be great for you. Its 2,5 inch SureTemp comfort layer will make a difference when it comes to your thermal comfort, while the 9,5 inches of support base will see that pressure is even on the entire surface. Therefore, there will be no parts of your body taking more pressure than others. That means less turning around during night sleep, and a well rested sleep. There will be no more back, neck, shoulder, hip pains in the morning thanks to this firm mattress. This firm mattress conforms to your body and works wonders for the proper alignment of your spine. This product will get to you vacuum packed; no need to worry as it will take only about 30 minutes for the mattress to expand to its maximum shape. There is no smell, either. Please keep in mind that this firm mattress has an elegant poly cotton blend cover. It is highly recommended to only spot clean the cover when it’s needed. There were customers who used only warm water and a soft detergent, no bleach when cleaning the cover. The warranty of this product will get void otherwise, so make sure to read the instructions booklet well. This firm mattress is 80 inches long, 60 inches wide and 12 inches high. The 20 years warranty is worth mentioning also, which makes the purchase as close to a no brainer as possible! To be or not to be …a firm mattress? As we said before, firm is a matter of taste. This mattress has a lot of firmness to it and all the while it gives you the feeling of sleeping on a cloud due to its softness. 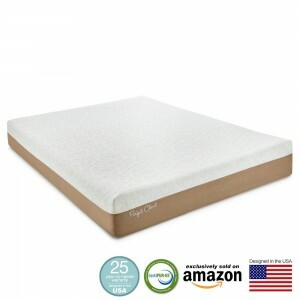 The 80*60*8 inch mattress has a 2 inch memory foam layer, a 2 inch SuperSoft foam layer with pressure relief system and a 4 inch high density foam layer. What does this means? It means that when you lay down on it, it reacts to the body heat and begins to mold to the shape of your body. It also means that your weight is evenly distributed along the surface of the mattress; this will relieve the pressure points. Good bye back and neck pains! You will not feel the movements of your partner on this firm mattress, so congrats on that also! 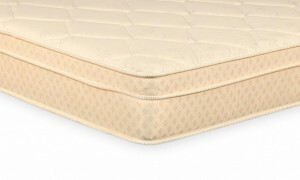 The mattress has a cover with a zippered enclosure; most of the customers recommend to better use a thin mattress cover than to take out the cover for washing. Well made, solid, firm and yet with a cloudy feel, this low priced mattress is a firm option, indeed! If you think you have to spend your one month’s rent money for a good mattress, you are totally out of line! Here is the best firm mattress whose price is unbeatable; the quality is so surprizing for the low price, that most of the customers went over the clouds because of this mattress. This 9” thick, Medium Firm, 100% made in the USA mattress (with 100% USA components) has also Convoluted High Density Foam. This means the mattress will not mold to your body like a memory foam, but it will be nice and firm, yet providing good rest during the night. Without any lumps, feeling even to your entire nody, this is the mattress that convinced customers to buy one for their friends. The Crazy EuroTop is quickly shipped and arrives well packaged. Take your time (like 10 minutes) to allow the mattress to expand to its full size. Most of the customers have not noticed a specific odor to this mattress. They do recommend to unpackage it in the bedroom, as it would be difficult to move around afterwards. Exceeding the expectations, this firm mattress might be the one for you! If you think that a multi layered mattress, at a very good price and great quality materials, will make you happy, then do not waste any more time and read all about this mattress! It has a 3” Gel Infused HD Memory Foam Comfort layer, then, for extra comfort, comes another 1” Layer. The ventilation within this mattress is good thanks to the 2” ventilated airflow layer. The 7” support base has great therapeutical effects. In order to keep this mattress cooler and more comfortable than any other memory foam mattresses, this mattress contains microscopical gel particles in its Memory Foam Layer. The zipper cover is made from natural bamboo fibers, is removable and easy to wash at home. You shouldn’t worry about dust mites, nor allergies; the bamboo fiber cover will fight against all that just fine. The wool within this mattress will wick away moisture, resist unpleasant odors and will regulate body temperature. This product is designed and handcrafted in the USA. You will be more than happy to know that this mattress will be delivered well compressed and will expand quickly. Meeting the standard for the Flammability of Mattress Sets, this superior product will instantly improve your lifestyle, easing your back, shoulders and hip pains. Your arms will thank you also, since they will not get numb again. Still on the fence? Sit no more, since the mattress has a whopping 25 year warranty. If you are the type that gets hot really easily and doesn’t want a very thick mattress, then this is the right choice for you! This mattress has 3 layers: -1 inch of Gel Memory foam, 2 Inches of Pressure Relief Foam, and a 4 Inch High Density foam. If this last layer is the base layer, providing long lasting durability and stability, the gel layer is made from microscopic gel beads that will increase air flow movement, thus feeling cool for the night’s duration. This firm mattress will give you total comfort, offering the ultimate support for the central points of your body: head, shoulders, hips. When you want to sleep on a big, firm and nice marshmallow, buy this mattress! It will put your body and mind at ease for sure! 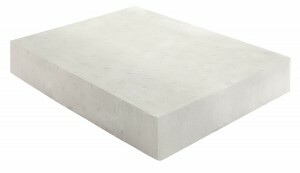 If 6 inch is too thin, 13 inch too thick, maybe an 8 inch thick firm mattress will do it for you! 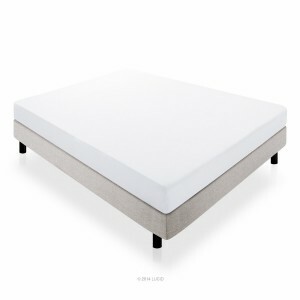 Consisting of 2 layers- a 2 inch comfort layer of Premium Memory Foam, and a 6 inch high density support foam, this mattress was given a medium firm feel. It gets the job done on your neck and spine, helping them recover their natural and comforting alignment. This mattress is able to also alleviate medical chronic problems, customers report. Rolled and well compressed for shipping, this firm mattress will get delivered fast to you and it will be easy to move around and set up. With its CertiPur certificate, this mattress will keep dust mites at bay and will be totally safe for your children as well. In case you are still wondering if you’re taking a big risk with this mattress, well don’t! It has a 25 year warranty… Who would put their word on the line like that, if not backed up by hard performance? This 3 layer Memory Foam Mattress will surely convince you, if you still haven’t made up your mind about your new mattress. 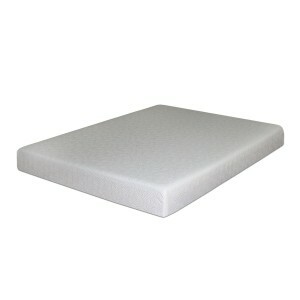 The first 3 inch layer of Signature Gel Plus memory foam will simply pamper you and give the „just right” firmness feel. The second 3 inch layer has bi-directional double air flow comfort foam that will increase the air flow support. If that’s not enough for you, there’s a third 4 inch Double Air Flow HD Base Support Foam that will also help with the air flow, creating a thermic neutral environment for your sleep. You don’t have to worry about cleaning this mattress either; it comes with a Stretch Knit cover, easy to remove and wash at home. The Mocha Ultrasuede siding (only on 2/3 of the cover) gives the cover an ultra soft feel and also a modern look to your mattress. The mattress size is accurate, if anyone’s asking. Many customers who purchased this product found that 5 stars were simply not enough for its quality and price. Last but not least, a 25 year warranty should help seal the deal. Well, if you want your mattress to be firm, this is it. And if you want a mattress medium firm, this is it also. And if you want an ultra soft mattress, than it’s like you won the lottery, since you can also get that with this mattress! We know, it’s a little bit confusing. We wouldn’t believe our eyes and ears either! But guess what? This 100% made in USA 11” mattress has actually 3 layers that you can literally move around, depending on your needs and comfort. So, you can have a firm mattress today, next week a medium firm one and, if you feel like it, you can always move around the layers and get yourself an ultra soft mattress. It might be that you are always on the same page with your partner (lucky you! ), but, with this mattress, you can easily… disagree. Meaning? This mattress has actually 6 layers, 3 for each one of you to move around. Unbelievable, right? This is the mattress that will easily accommodate, your body type, your sleeping position and your weight range, all in one. What else could you ask for? If a firm mattress is what’s good for you, this 100% USA made mattress is your winner! It has 3 layers: a 2.5 inch layers that is gel infused HD memory foam for comfort, another 2 inch ventilated cool air flow layer and a 6,5 inch therapeutic support base. Each of these layers serve different purposes. The gel particles infused into the HD memory foam keep the mattress cool, whereas the open cell technology helps with the air flow and also cools your mattress down. The third layer takes care of comforting and supporting the curves of your body, while providing the proper spinal alignment. Thanks to this mattress, there will be no more tossing and turning during the night. The natural bamboo fiber of the cover will ensure a natural antimicrobial protection, keeping dust mites and various allergies at a distance. So, if you’re ready to change your life and give your back the care that it deserves, this is the firm mattress for you! You can keep it in your life for up to 25 years, due to its 25 years warranty! This imported 10 inch thick mattress will surprise you not only with its price and quality, but also with its abilities. 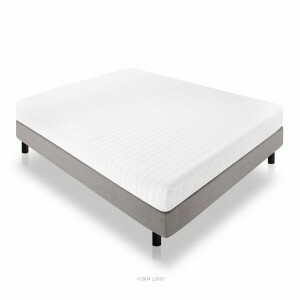 The 2.5 inch memory foam comfort layer will support your body lines, while the 7.5 inch polyurethane foam base will see that your back, shoulders, neck and hips remain comforted albeit firmly supported throughout the entire night. Even though firm, this mattress feels soft and quickly conforms to weight and pressure. This product is naturally treated againt various allergens and it keeps away dust mites. The soft velour cover is hypoallergenic as well. Shipped for free and in a timely manner, and being easy to set up, this mattress is CertiPur-US certified and has a 25 year warranty. Working wonders for back pain sufferers, this mattress convinced many customers to buy it for their friends and family, since it also ships gift wrapped.